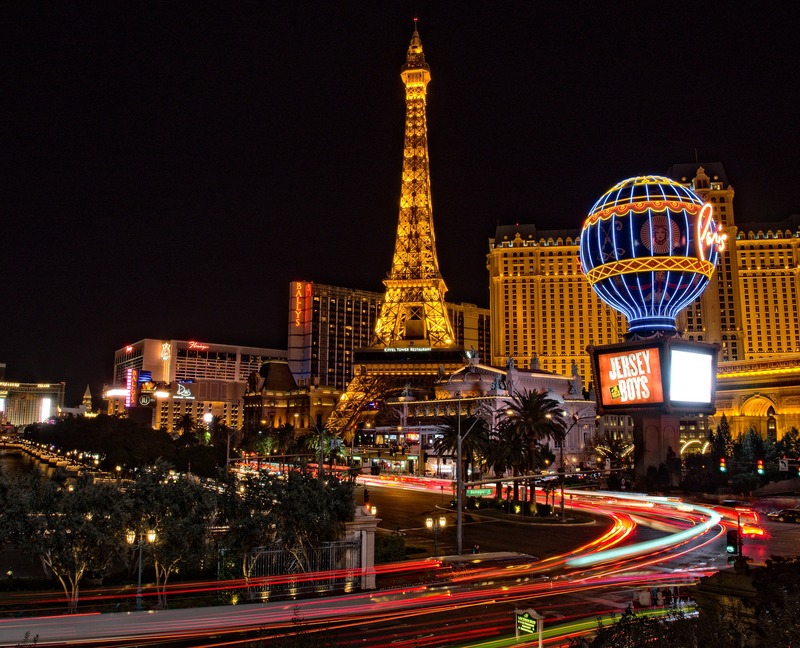 There’s so much to do and see in Las Vegas, but if you’re not careful, it can really cost you. 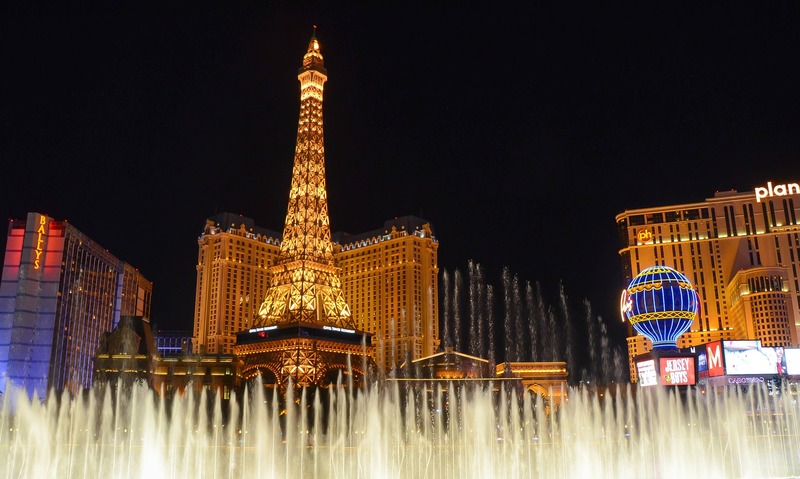 Here’s a list of free attractions you can visit with your family while in Sin City. 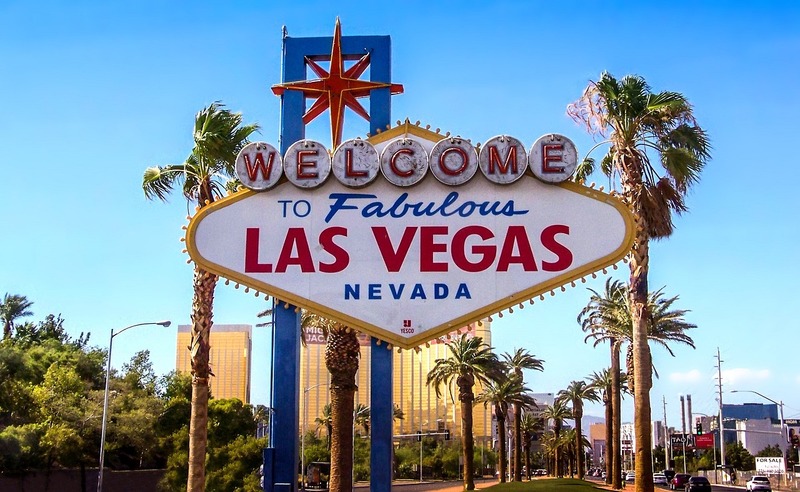 Some are located right on the Las Vegas Strip, and some are a short drive away, but all of these attractions make your visit worth while. Located about 30 miles southeast of Las Vegas, this structure is worth the drive. Built during the Great Depression, the Hoover Dam is an impressive piece of American history. You are able to drive over the dam to the Arizona side, where you’ll find free parking, but be prepared to walk. Parking closer to the dam costs, and there is a parking structure on the Nevada side for $10. The tours and visitors center all cost money to access, but walking onto the dam or viewing the dam from above on the massive Mike O’Callaghan–Pat Tillman Memorial Bridge is free. Tour times, ticket prices, as well as more dam information can be found here. Located near Jean Dry Lake and Interstate 15, approximately ten miles south of Las Vegas, internationally renowned Swiss artist Ugo Rondinone’s Seven Magic Mountains is a large-scale site-specific public art installation worth visiting. Comprised of seven towers of colorful, stacked boulders standing more than thirty feet high, it’s a site to see in the middle of the desert. It is FREE and open to the public, but please visit the webpage for all of the details, including directions, before you visit. I recommend visiting when the sun starts setting, it’s beautiful. Another piece of Vegas seen over and over in the movies, everyone needs a photo in front of this iconic sign. Located just south of Mandalay Bay on Las Vegas Boulevard, it’s open 24 hours a day and always free. There’s now a small 12 car parking lot, but it’s busy often, so expect to spend a small chunk of time here. 15 acres of trees, ponds, and waterfalls house over 300 birds as well as turtles, swans, ducks, koi, goldfish, and yes, Chilean flamingos. This peaceful and quiet attraction may have you forgetting you’re even in Las Vegas. The habitat is open 24 hours a day, seven days a week and is always free. You can find it inside the Flamingo hotel and casino, next to the pool area. We’ve all seen them in the movies. But, if you’ve never witnessed them in person, put it on your list. With more than 1000 fountains lit up and dancing to music, it’s a spectacle that no one should miss. And it’s free. The music performances range from Broadway show tunes to Billie Jean and UpTown Funk. My personal favorite is Con Te Partiro (Time to Say Goodbye) featuring Andrea Bocelli, because well, it’s Bocelli. The combination of lighting and music and the power of these fountains make for a very memorable experience. Just be sure to arrive early to get the best view as it becomes crowded quickly. Fountains run daily on weekdays starting at 3pm, Saturdays starting at noon, Sundays beginning at 11am and end at midnight. The full schedule can be found here. While checking out the fountains, head inside Bellagio just past the front desk to the 14,000 square foot Conservatory. This is where the talented horticulture staff transforms the space seasonally using thousands of flowers and trees. This masterpiece is open day and night and is always free to view. The Harvest Show runs September 19th- November 25th. There are 45,000 flowers in the harvest show, as well as an 18 foot center tree, and 300 hanging silk weeping willow branches. They offer a live web cam of the current display on their website, as well as past shows posted for viewing. Located inside Caesars Palace Forum Shoppes, just outside the Cheesecake Factory is this free fountain show. Based on the story of Atlantis, it’s a classic sibling rivalry in which they refuse to share power and fight bitterly back and forth for the right to the throne. Featuring animatronics and plenty of fire, this is a short and sweet free attraction, especially if you have kids with you. Arrive about 10 minutes early, as the viewing area can become quite crowded. Atlantis runs every hour on the hour Sunday-Friday, 10am-11pm, and Friday and Saturday, 10am-midnight. It’s located just behind another great attraction, their 50,000 gallon aquarium filled with over 300 different fish, stingray and even a few sharks. Stay and watch them feed the fish during dives scheduled at 1:15 p.m. and 5:15 p.m. daily. Two freebies in one location. One of the most popular attractions on the Las Vegas strip, the volcano has been lighting up the night since 1989. It features a state of the art sound system, and up close, you can actually feel the rumble of the volcano and the heat of the flames. It’s a sight to see shooting flames and fireballs, with it’s smoke effects and surrounding waterfalls. The Volcano is located in front of the Mirage casino and operates Sunday-Monday at 7 and 8 pm, and Friday and Saturday at 7, 8 and 9pm. 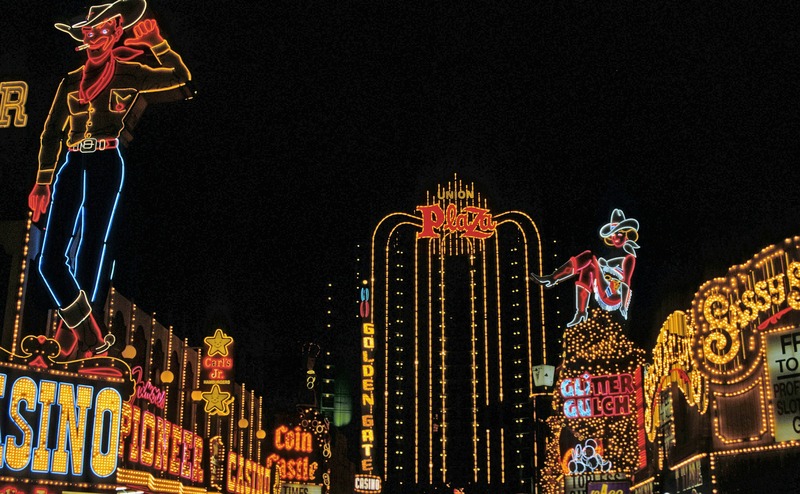 Downtown on Fremont Street you must see the free light show on the world’s largest video screen. The Viva Vision Light Show video screen is 1,500 feet long and 90 feet wide and runs hourly from 6pm to 1am. The music selection varies but you can check their calendar for the current line-up. An added bonus to your Fremont visit is the free concerts as part of the Downtown Rocks Summer concert series. The final show is Chevelle, at 9pm, on the 3rd street stage, September 30th. 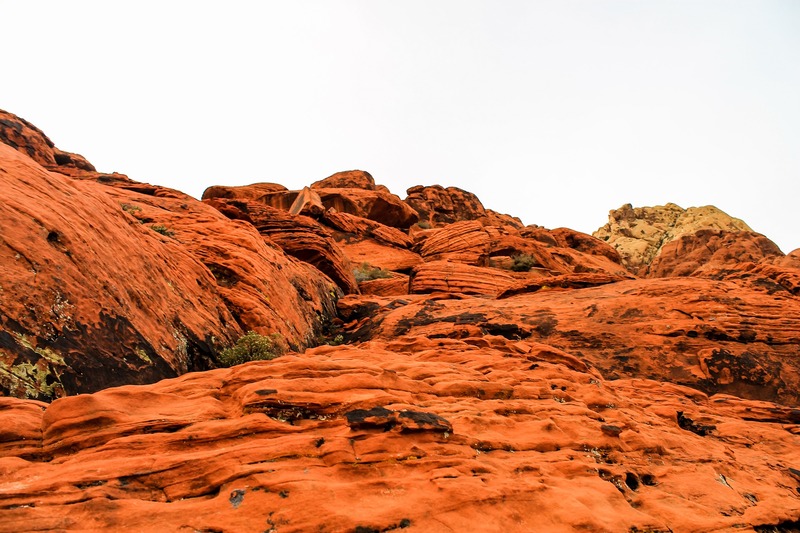 Located just before the Scenic Loop of Red Rock Canyon, and approximately 30 minutes from the strip, the Red Springs Basin picnic area is a great place to stop and enjoy the majestic scenery that is Red Rock Canyon for free. If you’re up for a hike or just want to get away from the hustle and bustle of the city, this is a beautiful place to retreat to. There’s a boardwalk, trail heads from the parking area, as well as a picnic area and restrooms. It’s also an amazing backdrop for photos. You’ll want to head out very early in warmer months, as it can get dangerously hot from May-September. I hope you’ve enjoyed this list. If there’s anything on here you haven’t seen yet, put it on your to-do list. Please feel free to add other free attractions in the comments below.